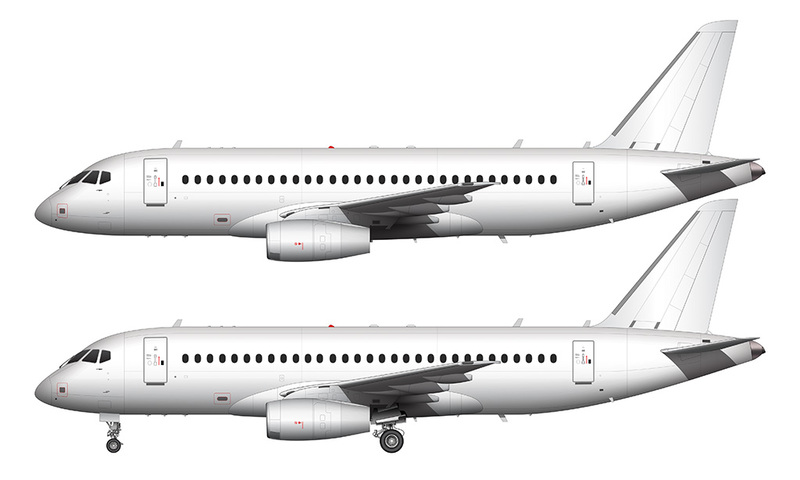 At first I thought this was something that I was embarrassed to admit, but now I think that I’m proud of the fact that before I created these SSJ-100 (Sukhoi Superjet) templates, I always thought that Sukhoi was a Japanese company. I’d be willing to bet that most people could admit that it is a very Japanese sounding name, so you can’t blast me too hard for thinking something like that. But why am I proud of this? Quite simply, its confirmation that I’m not as much of an airplane nerd as I thought I was!  Not that being an airplane nerd is a bad thing – but I’ve always been a car guy and I have been feeling bad about neglecting my main hobby so much over the past few years. I love to draw cars (and the automotive industry in general), so it was a bit disconcerting that my aviation knowledge was slowly surpassing my knowledge of all things automotive. So yeah. Sukhoi is a Russian company with a Japanese sounding name. I’m actually glad I received so many requests to illustrate this aircraft because it opened my eyes a bit to how large (and amazing) the Russian aerospace industry is. The Russians definitely know how to build airplanes, and a bit of research resulted in a long list of new aircraft I want to illustrate – starting with the Antonov 225. That thing is a beast! 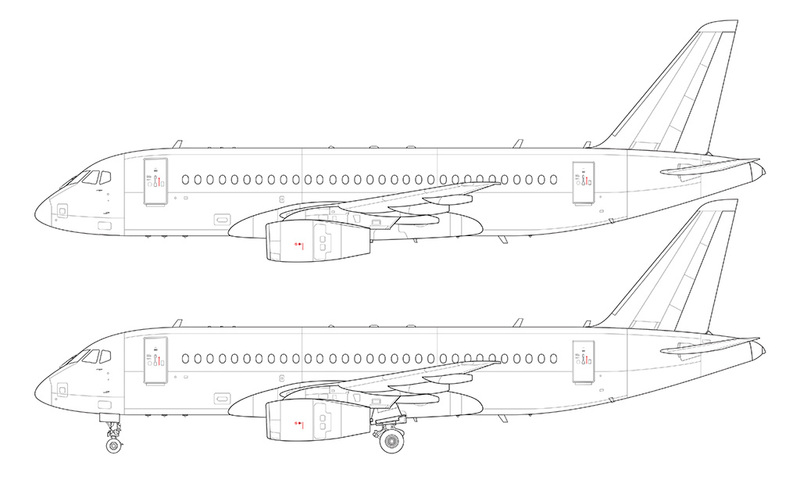 Another thing I learned while doing this template of the SSJ-100 is the fact that Boeing was a consultant for the design and engineering phases of its development. I never would have expected that, simply because Russian aerospace technology is very advanced and I would think they would prefer to keep everything “in house” rather than seek the help of an American company. But that’s globalization for you! Stylewise, the Superjet isn’t really pushing the envelope. 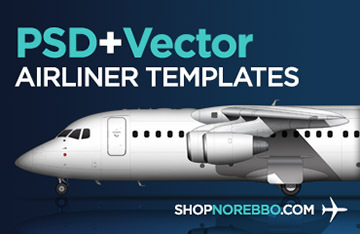 To me, it looks like a less-aerodynamic Bombardier CS100 with small Rolls Royce Trent 700 engines, and that’s unfortunate because most commercial airliners are starting to look the same these days. I will give the Sukhoi designers credit for the really aggressive (and cool looking) windshield though – it’s not so impressive from a side view like this, but the shape is very pointy and sleek from the front view and unlike anything I’ve seen on a commercial aircraft before. I concur with Sukhoi sounding Japanese. Interestingly sukhoi sounds like “sugoi” in Japanese which roughly translates as “cool!” or “neato!” which actually is how I would describe this aircraft. That’s an interesting factoid about Boeing’s involvement. 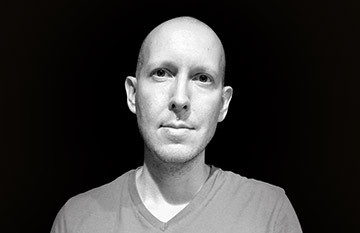 Hi Scott. I am a big fan of yours and LOVE your designs. I would really like it if you do an A340. Also it will be nice if you make a B747-200 and do some liveries on it such as PanAm,Northwest and IranAir livery. I cannot believe my luck in finding your site. You are such a talented artist. I have always been interested in the Russian Airliners, which are relatively unknown outside of Russia and it’s satellite states. I hope you get around to rendering the iconic IL-62 (Interflug livery) or the TU-154 in the near future. Thanks Mark! Such kind words, and I really appreciate it. The Antonov 225 was the next Russian on my list, but I’ll admit that the IL-62 and TU-154 are tempting me as well. They’ll all get done eventually, but first I need to finish the A340 series. I made an Iran Air livery on your MD-80. Go to the link below to see it. Hope you like it. 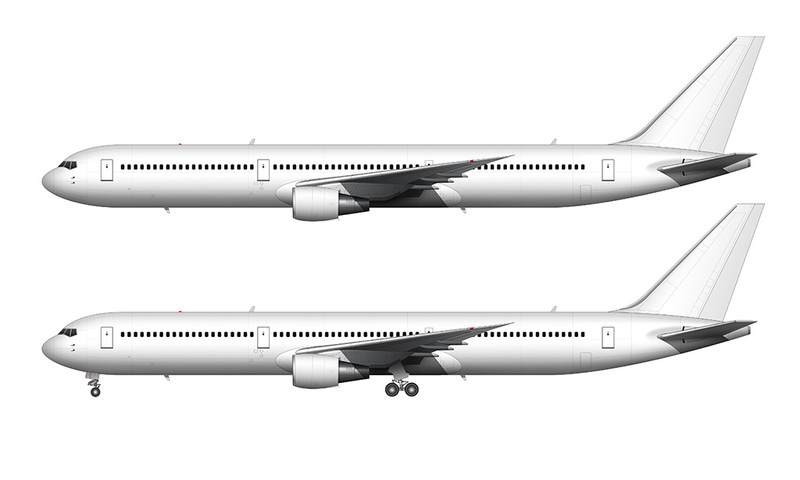 Have you ever made (considered making) front or top view drawings of aircraft? Front views in particular can look pretty sweet. Hey Mud – yeah, it’s definitely on my “to-do” list, but I’m so backlogged at the moment that I’m not sure how long it’s going to be until I can get around to them. They are coming though…eventually. It is interesting how the name “Sukhoi” may sound Japanese to a western ear, I never thought of it this way. The last name Sukhoi is actually a regular vocabulary word in Russian, and it literally means “dry” (the more accurate transliteration would be “sukhoy”). Very nice illustrations by the way!